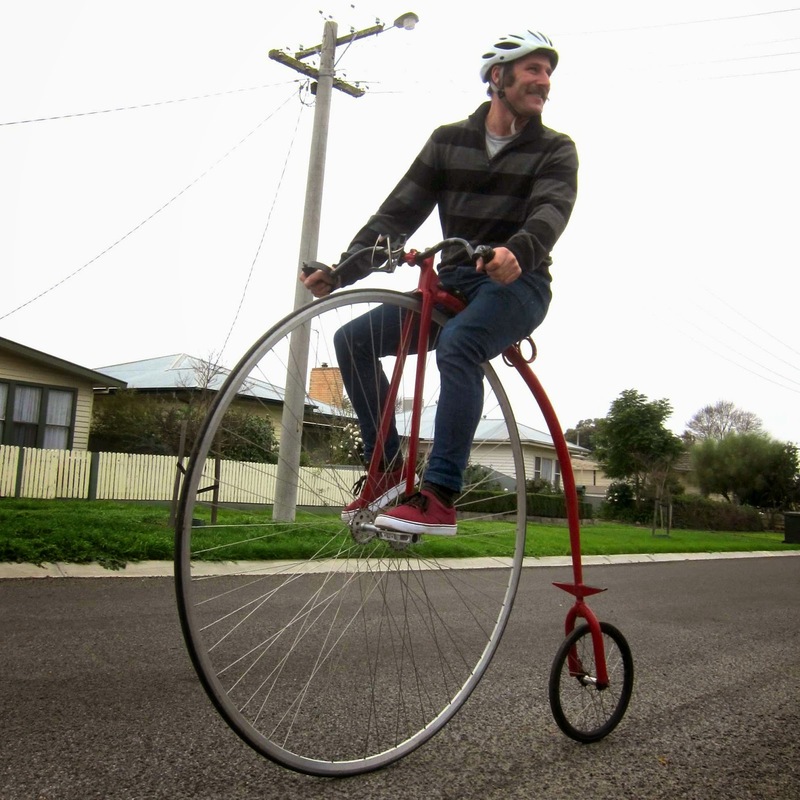 I came across Dan Bolwell by chance, though he was easy to spot, cruising the sleepy Sunday streets of the rural city of Horsham on bright red penny farthing. And, as it happened, I didn’t really get a chance to strike up a conversation with Dan until we ended up on the same table at the cake competition hosted by the local CWA branch. In parallel with the meticulously baked sweets we were surrounded by I began chatting with Dan about his meticulous penny farthing. I became even more excited as he told me that he made his own, from scratch and that he had recently begun taking orders to make them for other people. I wasted no time in asking for a peek inside his workshop. I have no substantial understanding of ‘Penny’s’ aside from the fact that they fit somewhere in the mythical creatures category of my mind. I have seen a few variations over time but never really understood what I was looking at. I had once seen a lone penny rider, with loaded panniers on a deserted stretch of road in the middle of Tasmania, only later coming to understand that Evandale and it’s annual National Championships are a definitive penny mecca in the whole of the southern hemisphere. Dan made me a cuppa and filled me in on many of the technical traditions of penny building, the majority of which he continues to adhere to, albeit with minor engineering advances. The wonderful thing about Dan’s building is that his meticulous machines begin life incredibly raw. His workshop is not a dust free, air locked bunker filled with digital CNC mills- it is a simple backyard shed in which are applied a few simple DIY processes, a few basic skills, an immeasurable amount of passion and a genius approach. Dan is a humble and articulate man and I am very grateful for the time he took to share his making. I’ve cobbled together a few highlights from our chat but it’s safe to say that a I left Dan’s place with my mind overflowing and I simply couldn’t retain all of the great details that he openly shared. Enjoy the pics below and check out his site. You’d better get your order in soon if you’d like one as his waiting list is already quite long. 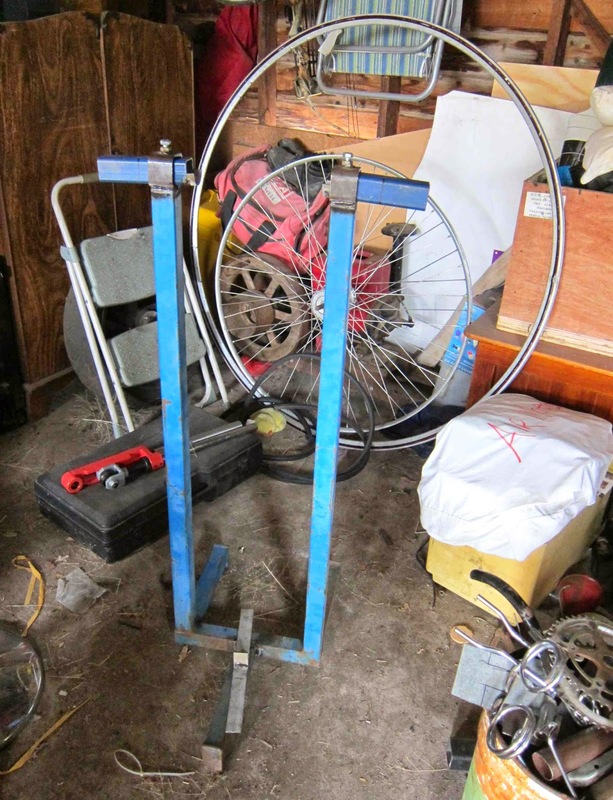 It turns out you need a somewhat oversized truing stand to build penny wheels. This is the one Dan made. 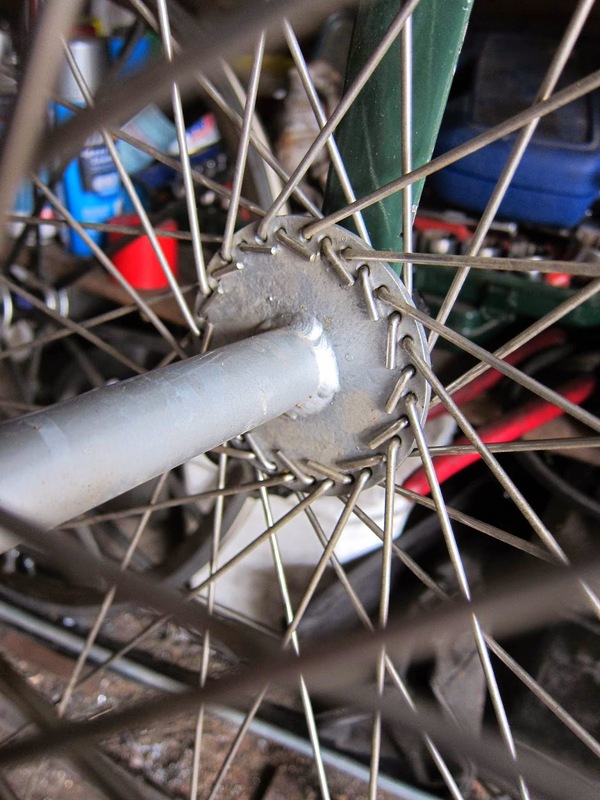 Bike nerds know what they are looking at here – radical custom spoke technology. No heat, pure material, absolutely reliable 600mm (ish) spokes. Did I mention that Dan makes his own hubs from scratch? 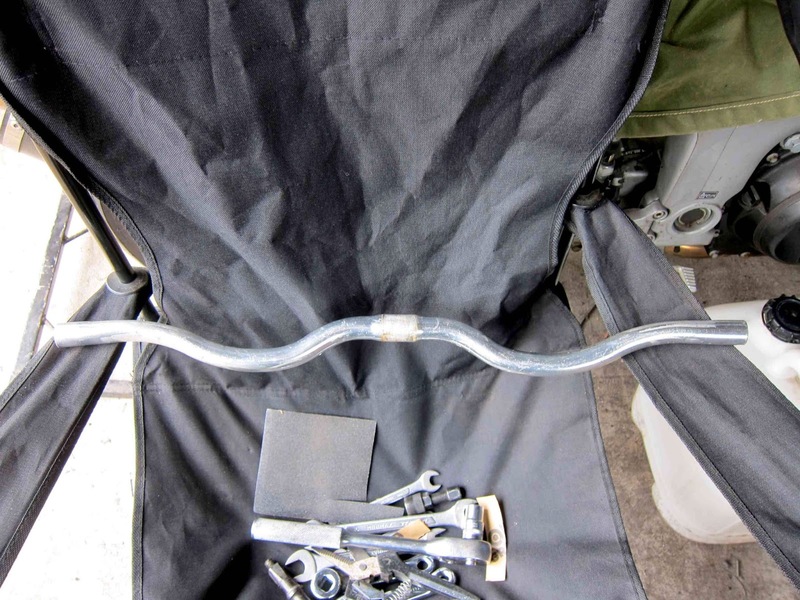 They are based around a modified BB axle – I’ll let your imagination do the rest. 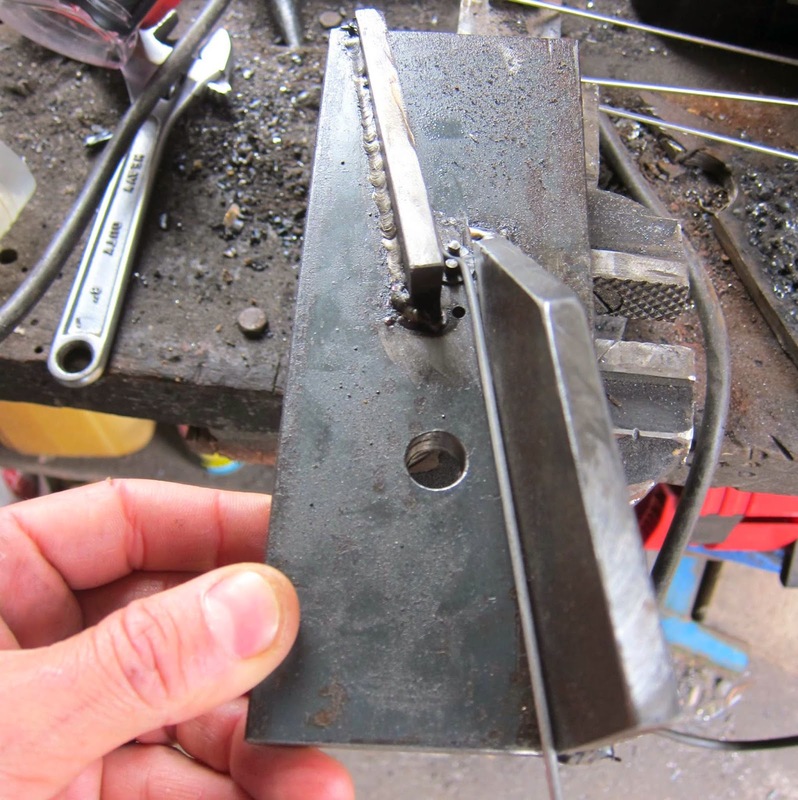 This is the lovely tool that Dan has made to create his awesome custom spokes. 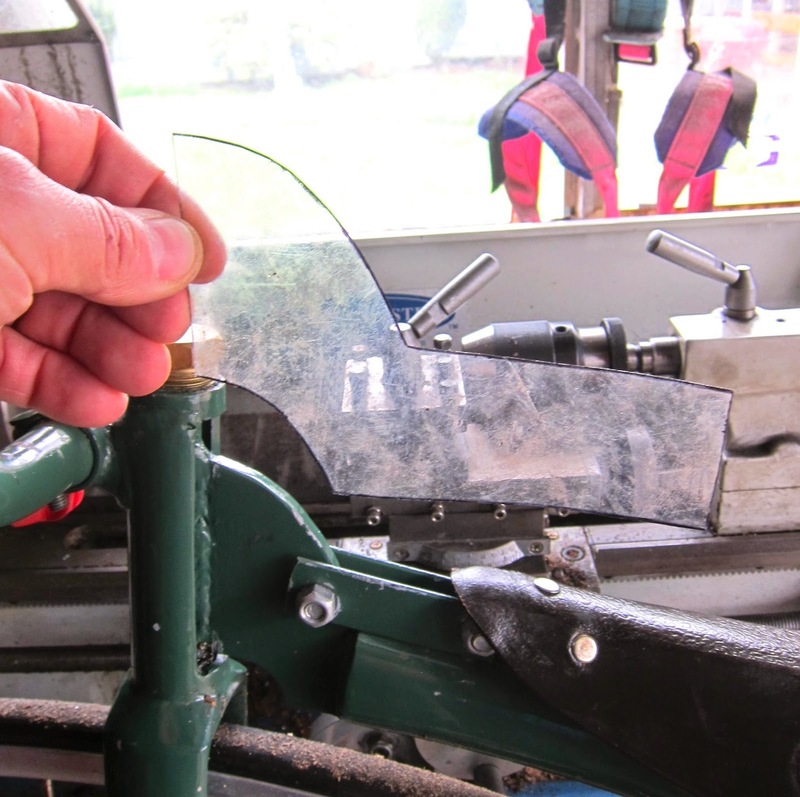 A template for the unique headtube junction that becomes part of the ‘spine’. Dan's headtubes are a traditional penny 'internal' design rather than the more common and contemporary design. Prototype penny bars commissioned by Nitto, made in Horsham. A very particular part of Dan’s design and his commitment to traditional forms are his tapered fork legs. 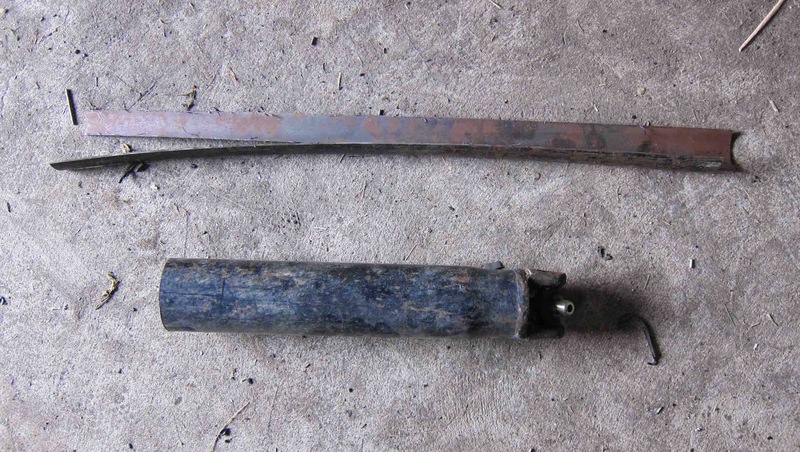 The best donor material for this happens to be pre-loved tailshafts! Upcycle mastery.